Receiving or Distribution Homes: Middlemore: Guthrie Home located in London, Ontario; Fairview Home in Fairview, Nova Scotia. As a young man, John Throgmorton Middlemore was sent to Boston, Massachusetts to attend the University of Brunswick to study medicine. When the son, born in 1844, of a weathy businessman in Birmingham, England, returned to his home in England, he was stricken with the plight of the poor, and was convinced that they should be sent abroad to begin a healthier life. In 1872, The Children’s Emigration Homes for boys was founded at 105 Luke’s Road in Birmingham. There, they were to be trained for situations in Canada. A year later, a home for girls was opened at 36 Spring Street was followed by another at 94 Summer Street. Full to overcrowded homes caused the first party of children to be emigrated in 1873 and sailed to Quebec City. With no receiving Home in place, they were then transported to Toronto and London, Ontario. He was helped with the placement of these children by Professor Wilson, the Honorable G.W. Allen and Messrs. Heath and Finnesmore. In 1874, Middlemore travelled with another group of children and opened a receiving home called ‘Guthrie House’ in London, Ontario. As the lease was soon to expire, the former Swartz’ Tavern, at 87 1 Commisioners Road, East, was purchased. 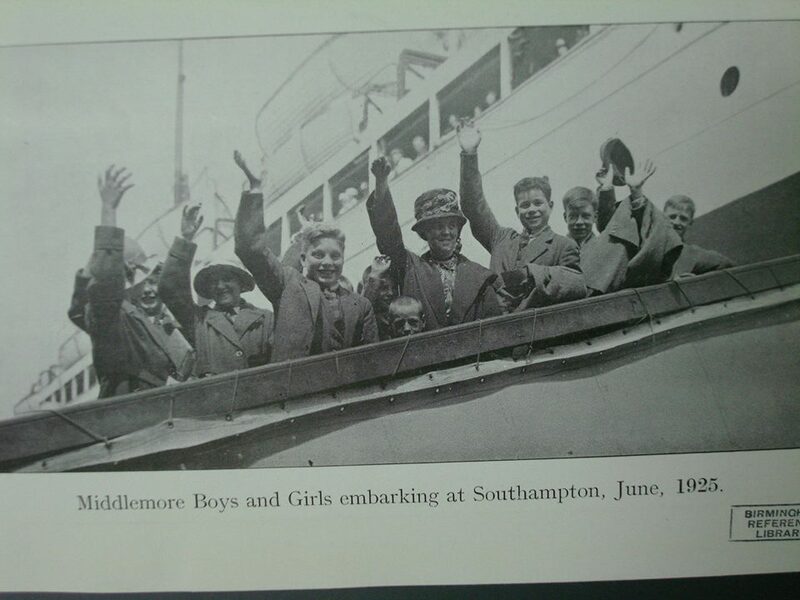 Thousands of children were migrated from the Homes as well as workhouses and reformitories and in circa 1885, Middlemore began leaving children in New Brunswick which along with Nova Scotia and Prince Edward Island became his new focus. In 1900, the Guthrie Home was abandoned. After sending children through Annie MacPherson to Ontario or Emma Stirling in Nova Scotia, Middlemore was told by the government to start his own receiving home and did so, in 1895 opening the Fairview Home near Halifax. 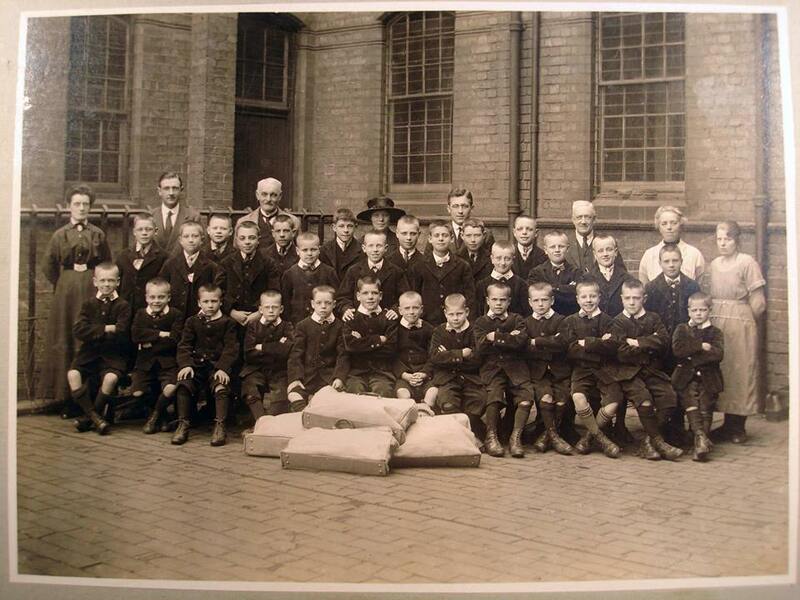 Aged between 5 and 15, the children had four inspectors. Although immigration ceased during the First World War, Fairview Home was damaged in the 1917 Halifax Harbour explosion, when a munitions ship collided with another ship. Beginning again in 1919, what came to be known as the Middlemore Homes was started up again. John Middlemore died in 1924 but operation continued to 1932, sending around 5,000 children to Manitoba, Ontario, Nova Scotia, New Brunswick and PEI.